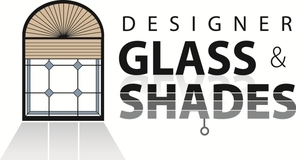 At Designer Glass & Shades our focus is on providing innovative, stylish and superior products in the motorized shading systems market. Our vendors represent the cutting edge in shading system technology and we work with them directly through specialized training to offer a variety of indoor / outdoor motorization options for your home or business. Designer Glass & Shades specializes in motorized shading systems provided by Lutron, one of the leading innovators in home technology. For more than 60 years, Hunter Douglas has been a leader in custom made window fashions. Qmotion shading systems bring the luxury of home automation at an affordable price with their battery operated motorized shades. A leading manufacturer in specialized motors and controls for indoor and outdoor shading and screening systems. 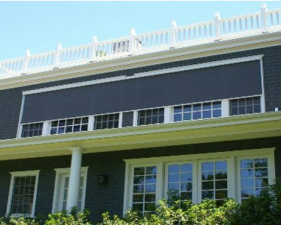 Offering a wide line of retractable motorized insect and sun screens, each of which are customized to fit your needs. Interior and exterior motorized roller shade systems which allow widths of up to 40' without fabric interruptions or wrinkles. Motorized storm shutters, screens, and more.